CANview® Ethernet has a 10/100M Base-T Ethernet interface for transferring data quickly. CAN data can be transferred via Ethernet at a baud rate of 1 Mbit/s and with a high bus load. It is also possible to connect 2 remote CAN networks via Ethernet. CANview® Ethernet is based on a standardized RM byte commando interface which facilitates exchange between other CAN components within the RM product family. Communication can be established via the Internet using the right gateways or routers. Flexibly adjustable filters limit the number of messages to be transmitted. The device can communicate using TCP or UDP in regards to the Ethernet. A multi-socket server allows for several TCP clients to communicate with the CANview® Ethernet at the same time. CANview® Ethernet is equipped with a DHCP and a DNS client. 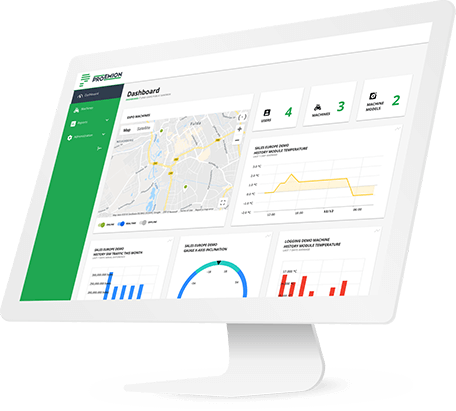 Upon request, the device can also be ordered with a CANopen stack that has additional NMT master and SDO client functionality and implementation in accordance with DSP 309. CANview® Ethernet is available as an OEM device or in robust aluminum housing so that it can be used in rough conditions. CANview® Ethernet has a high-performance 16-bit microcontroller with a flash memory, which can be programmed from a computer using Windows® software. In this way, other CAN protocols (e.g. J1939, Device Net or customized protocols) can also be implemented. Customized firmware adaptations are always possible. The configuration process is carried out entirely via the CANopen or via an integrated Telnet server. 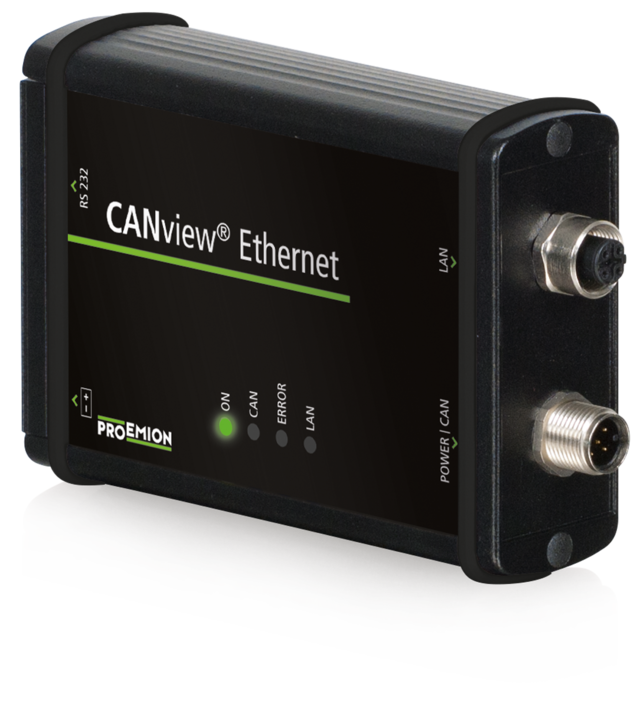 CANview® Ethernet is delivered together with the RM CAN Device Monitor and RMtools Dasboard for CAN data visualisation.